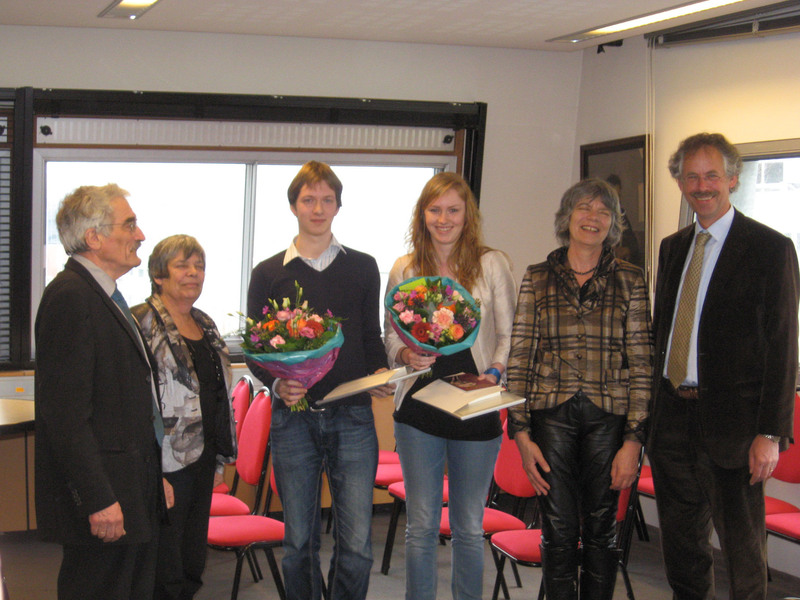 Evert van Nieuwenburg and Rianne van den Berg received the Hendrik Casimir prize last Tuesday 28 February out of the hands of Rommert Casimir, son of Hendrik Casimir. 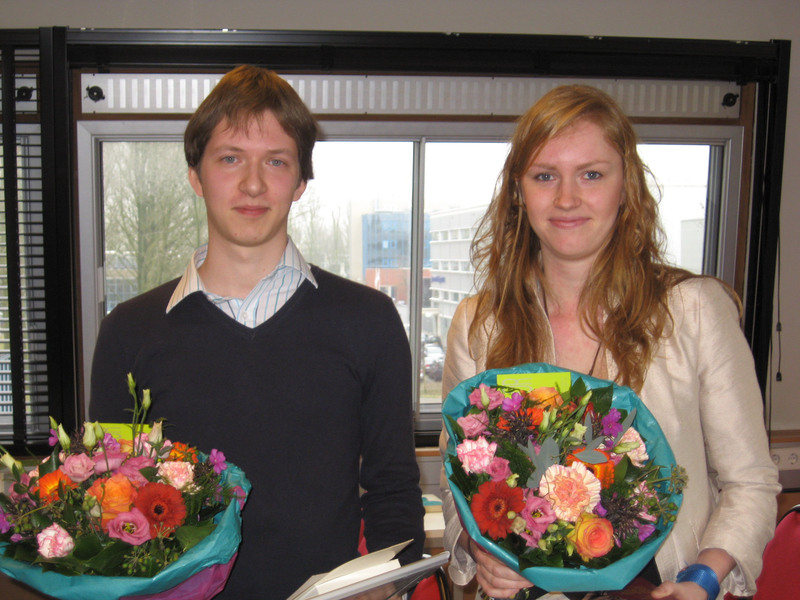 The prizes were awarded for the exceptional results the two students obtained in their physics master studies at Leiden and Delft Universities. 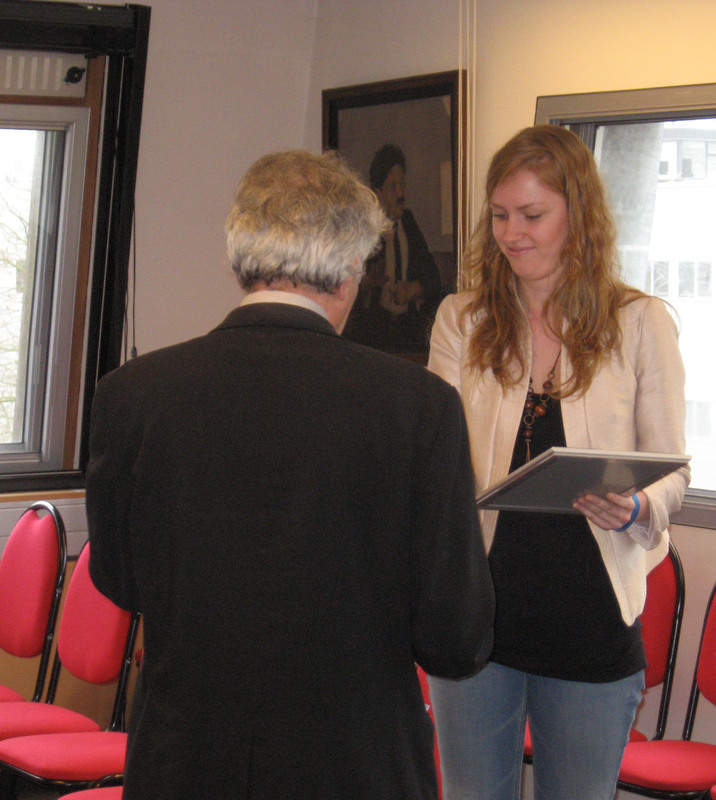 The ceremony was held in the Gorter hall of Leiden university and was attended by four other members of the Casimir family, by family and friends of the prize winners and a delegation of the staff of the Casimir research School. The prizes are awarded each year, and come in the form of a certificate and a sum of € 750 for each winner. The prize is funded by an endowment offered by Josina Casimir-Jonker, the late widow of the famous Hendrik Casimir. 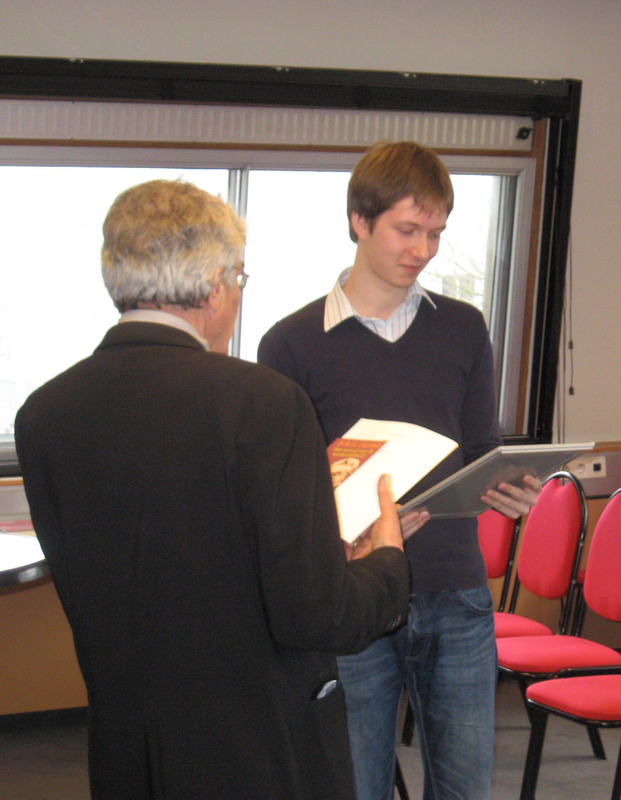 The members of the Casimir family also visited Leiden University to donate a bronze portrait to LION and part of the library of their father, Hendrik Casimir.